The "411 On Fishing" : More Fishing 411 TV??!! You Got It!! Fishing 411 is now available On-line at Carbon TV! 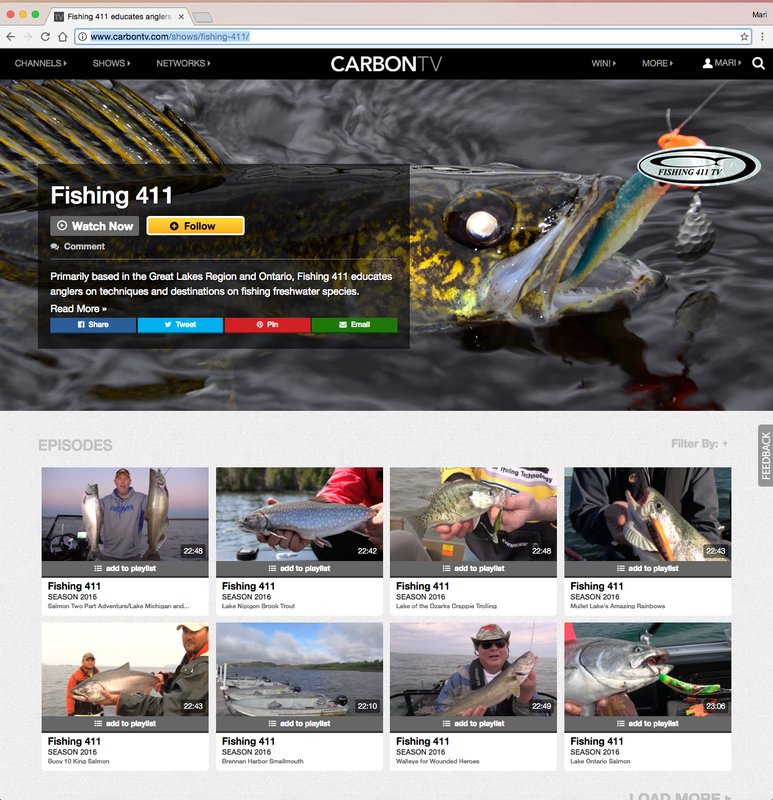 Follow Fishing 411 on Carbon TV and you will be able to watch on-line and on demand with no subscription fees. FREE! We will be adding content so be sure to FOLLOW US to receive notifications.